The latest firmware for the Connect Station CS100 is now available. In order to update the firmware, the CS100 device must be connected to the Internet. Please see detailed instructions below. Enables the uploading of images to CS100 via an iOS device running iOS9. Fixes a phenomenon in which the CS100 and camera cannot be connected via NFC due to router settings. 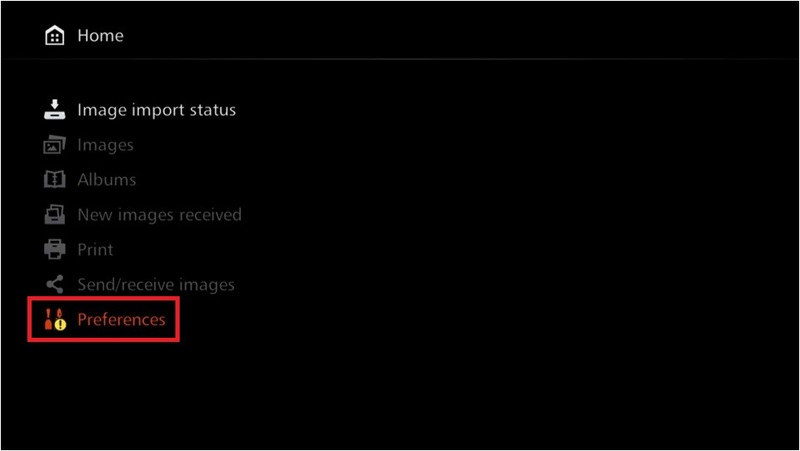 Fixes a phenomenon in which the CS100 stops working when certain movie files are imported.. 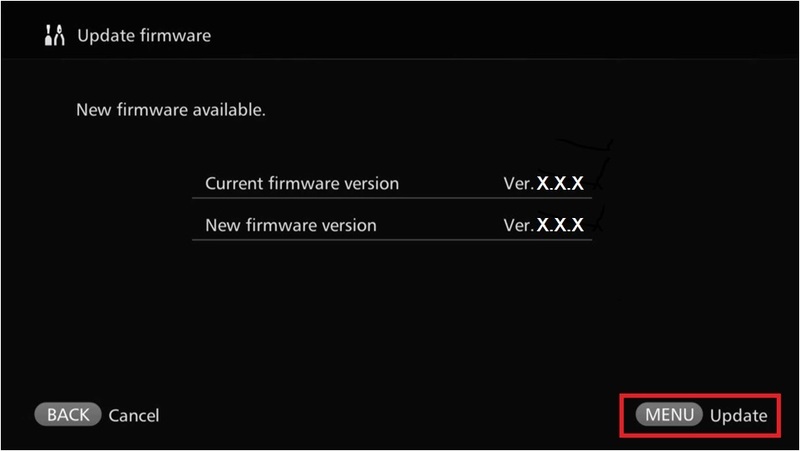 This firmware update is for Connect Station CS100 with Firmware up to Version 1.1.2. During the firmware update, please do not turn off the power of the CS100. During the firmware update, please do not lift up or move the CS100. During the firmware update, please do not operate the remote control. Before the firmware update, please remove the CF card, SD card, and USB cable. Turn on the power of the CS100, and connect the device to the Internet. *For details how to connect the CS100 to the Internet, please see the user’s manual. Press the button on the remote control, and check whether [ ! ] appears over the “Preferences” item, and if so, select the “Preferences” item, and then press <set>. Press the button of Cross keys on the remote control, select the tab in the image below, and after checking that [ ! ] appears next to [Update Firmware], select [Update Firmware], and then press <set>. Press <menu>on the remote control to start downloading and updating the firmware. 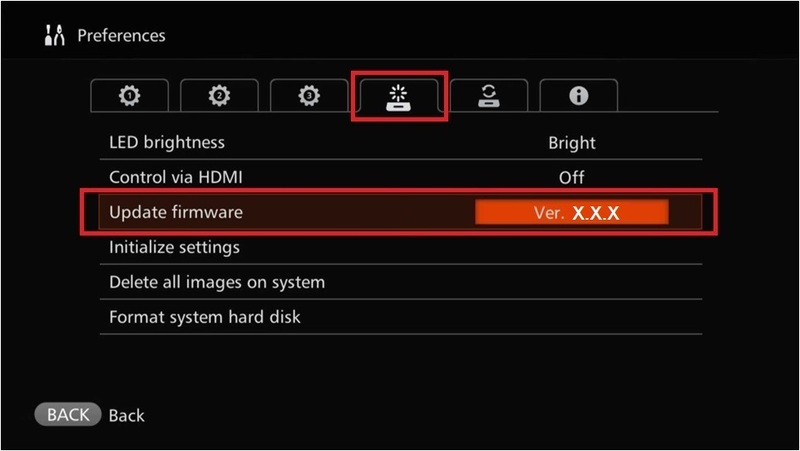 Press the <right> button of Cross keys on the remote control, select the tab in the image below, and check whether the information on the [Update Firmware] screen indicates the latest firmware version.